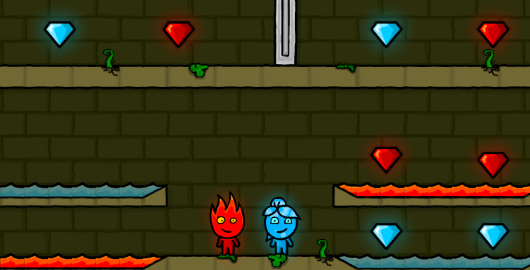 FireBoy And WaterGirl 4: The Crystal Temple is a Platform Skill game by Oslo Albet and Jan Villanueva. Help FireBoy and WaterGirl in The Crystal Temple adventure! Control both characters at the same time to solve puzzles and make your way to the exits! 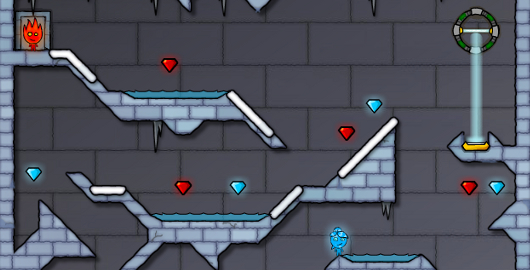 FireBoy And WaterGirl 3: The Ice Temple is a Platform Skill game by Oslo Albet and Jan Villanueva. Help FireBoy and WaterGirl in The Ice Temple adventure! 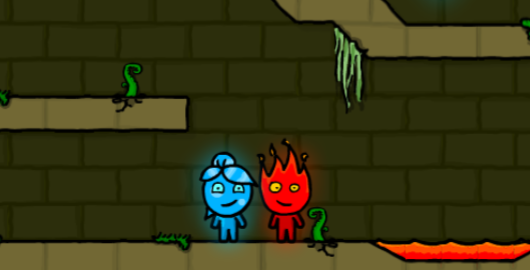 Help FireBoy and WaterGirl in The Light Temple adventure! 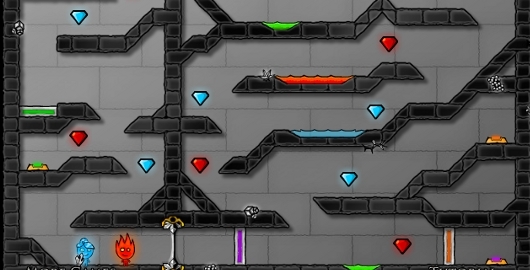 “Control both characters at the same time to solve platformer puzzles! Direct light beams to the sensors using different kinds of mirrors, activate buttons and levers to move platforms, push boxes and roll balls, collect all the diamonds and get each character to his door!” Have fun!